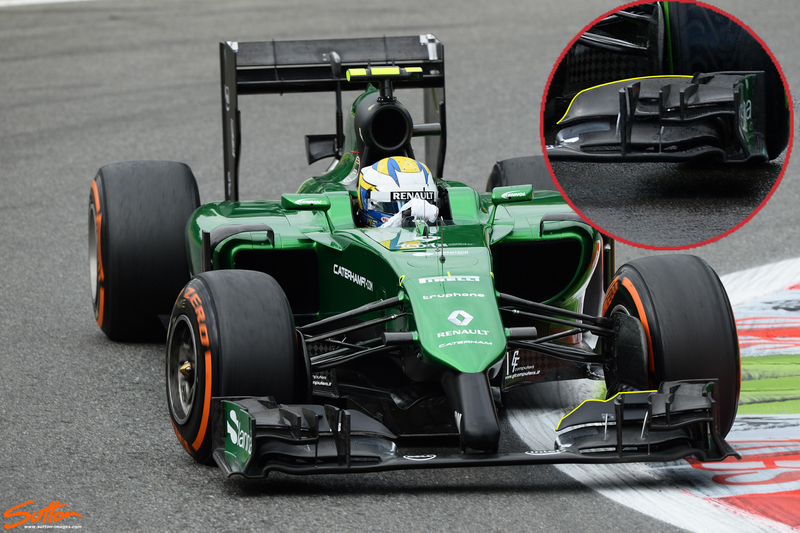 Caterham introduced a raft of upgrades for the Belgian GP (New Nose, engine cover / cooling & rear wing endplate strakes) but always the pace of development in Formula One is relentless, so for Monza the team also looked at making changes to their front wing. As we can see in the main image the upper flaps height was reduced significantly, which results in less peak downforce. This will of course provide less drag across the length of the car, with less components seeing their airflow manipulated. The team have run both this and their regular wing (inset) throughout the Free Practice sessions in order to assess which gives the best balance.